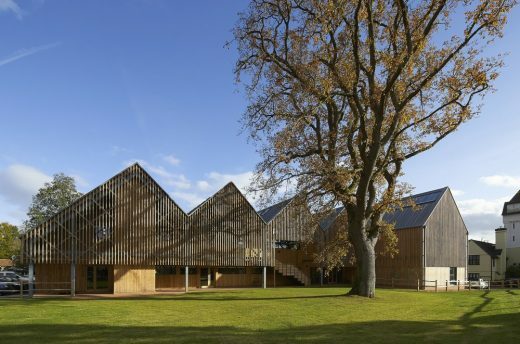 The design of the building draws references from traditional agricultural buildings with clipped gables and simple standing-seam metal roofs, defining a series of connected barn forms. 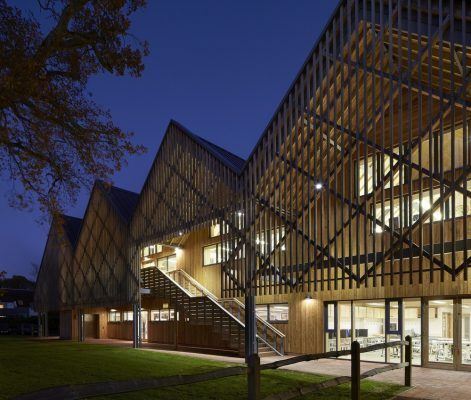 Materials were used in their natural state throughout: a lattice timber screen shelters the entrance canopy and external walkway creating a welcoming gesture on approach to the building. 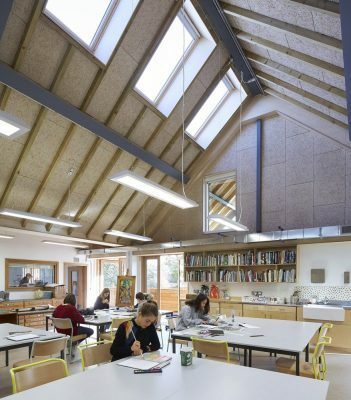 The layout on the upper floor is a series of carefully scaled open and interconnected north-lit art studios that enable teaching and independent study for a wide range of group sizes and activities. 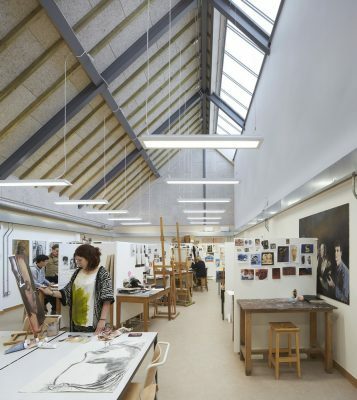 On the ground floor heavier duty craft-based design subjects are taught alongside jewellery and fashion design. 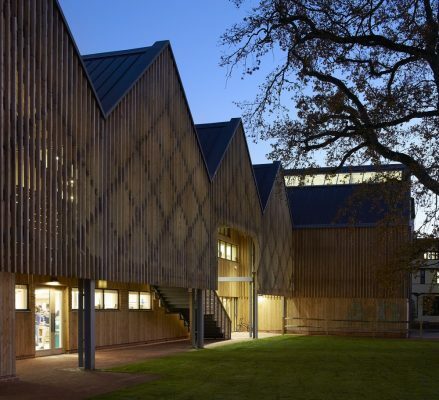 A connection to the outdoors characterises much of Bedales life, and consequently all circulation is external, across covered decks on both sides of the building that double as places to draw, paint, sculpt or just relax and contemplate the environment. 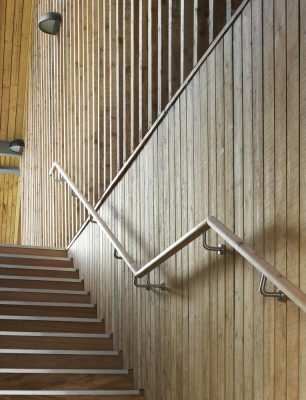 Through passive building principles, the new Art and Design building retains the school’s long and close connection to the countryside. 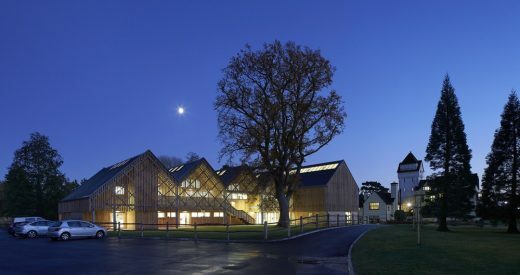 Since its foundation by John Badley in 1893, creative arts education has been at the heart of this liberal and alternative independent school, within the South Downs National Park, in Hampshire. 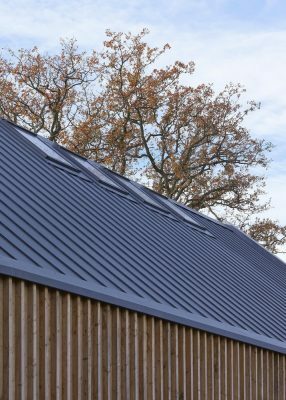 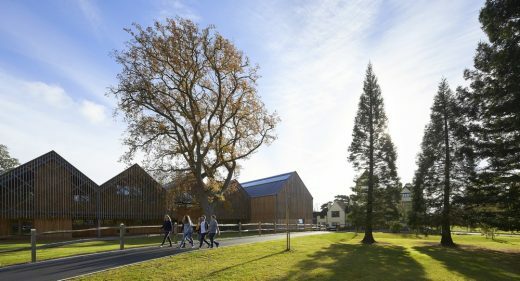 The new Art & Design building sits in the shadow of a 300 year old oak tree, alongside a range of old barns in which ‘outdoor work’ is taught and students bake bread each week. 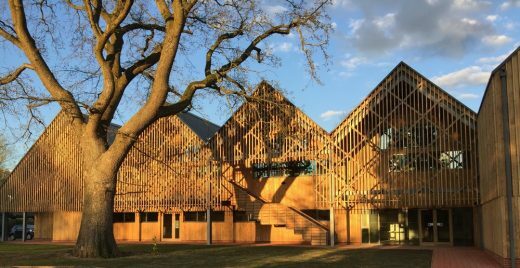 The form and east-west orientation of the five pitched roofs of the new Art and Design building define a series of carefully scaled, north-lit studio spaces. 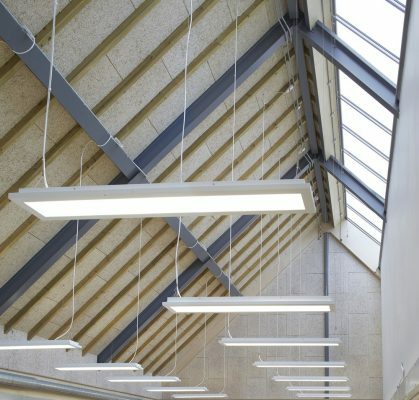 Natural light is maximised and the need for artificial lighting reduced. 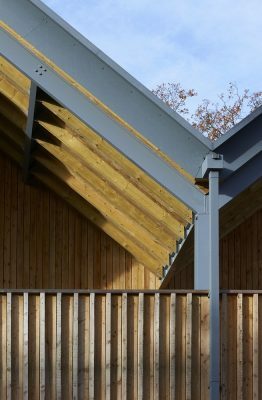 In what is otherwise a lightweight building, the thermal mass of exposed concrete surfaces contributes to a stable internal temperature. 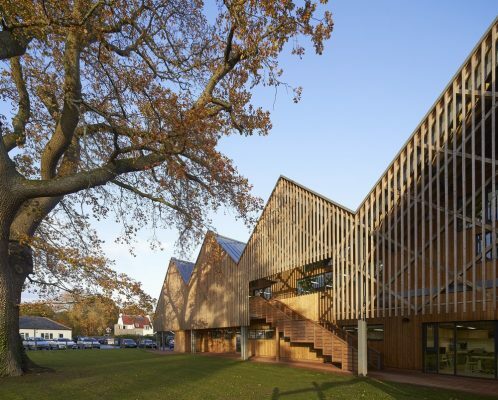 Timber-slatted screens and the retained large oak tree both provide solar shading in the summer months. 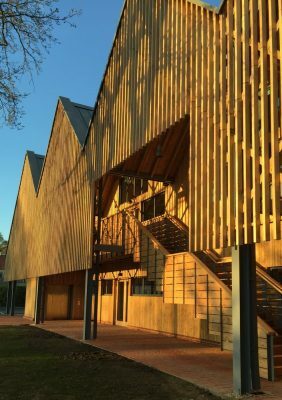 Renewable natural materials, including sustainably sourced timber for cladding and wood fibre acoustic panels, reduce the embodied carbon in the construction.